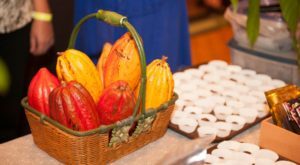 Nestled in the heart of one of the world’s most pristine rainforests, it doesn’t get any better than the sleepy community of Volcano Village. 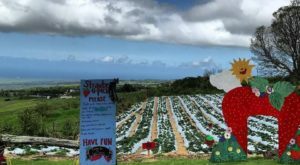 Tucked away near Hawaii Volcanoes National Park at nearly 4,000 feet in elevation, Volcano is home to 2,500 residents, plenty of artistic vibes and art galleries, two general stores, a post office, a farmers market, some mouthwatering restaurants, and phenomenal views. 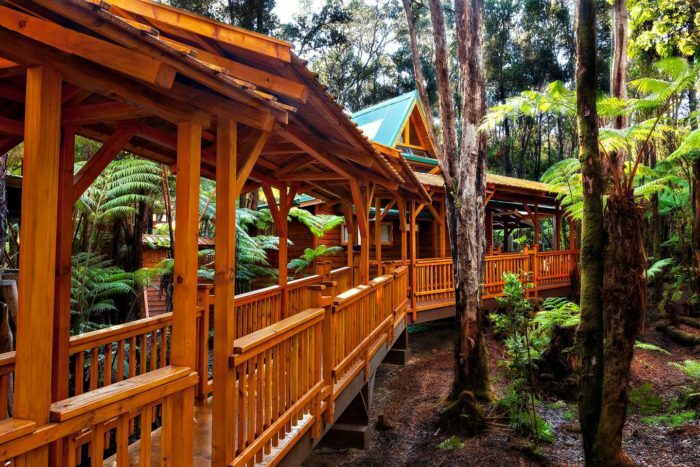 It is also home to a wood cabin retreat that is unlike anything we’ve ever seen before. 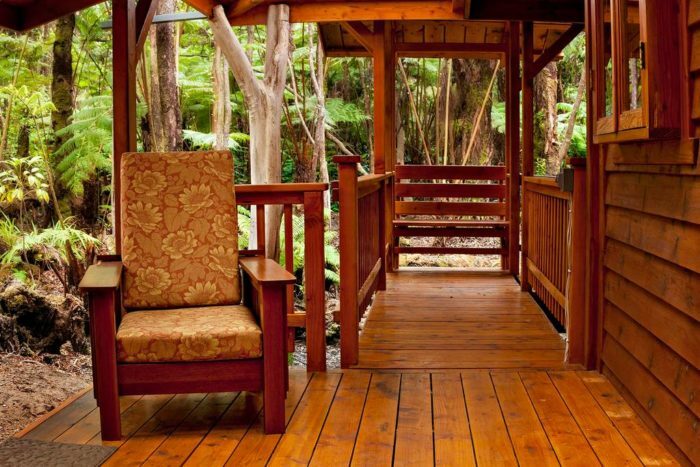 Ready for a weekend of relaxation? 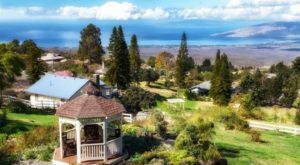 This dreamy cottage Airbnb has you covered. 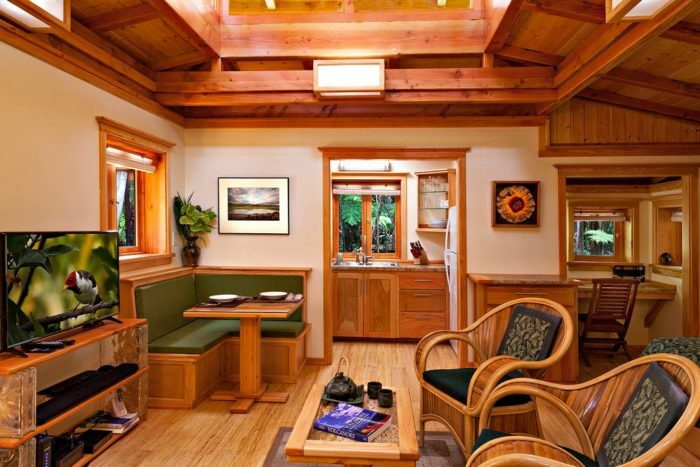 Welcome to the Laukapu Forest Cottage, a spacious studio vacation rental cottage that is, quite simply, to die for. 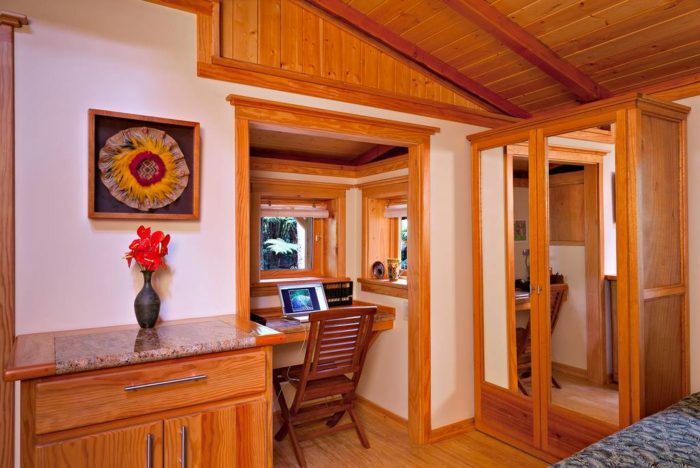 A handcrafted, covered 70-foot long covered "Walkway of the 1,000 Peaces," leads up to a private porch and entry, and welcomes you to this cozy cottage retreat with a winning first impression. 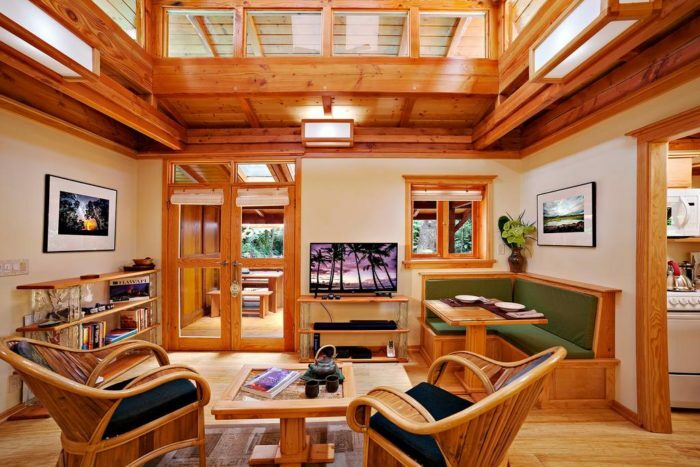 Step inside, and immediately notice the stresses of your daily life slip away as you admire the warm wood tones, soft color palette, and island rainforest-inspired decor. Your hosts, Kathryn and Kenneth, have poured their hearts into this beautiful rental. 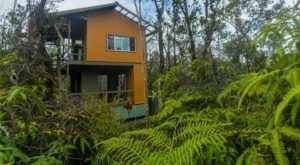 Kenneth built the Laukapu Forest Cottage from the ground up — including all the built-ins, benches, table, and armchair on the porch — and Kathryn will greet you when you arrive. 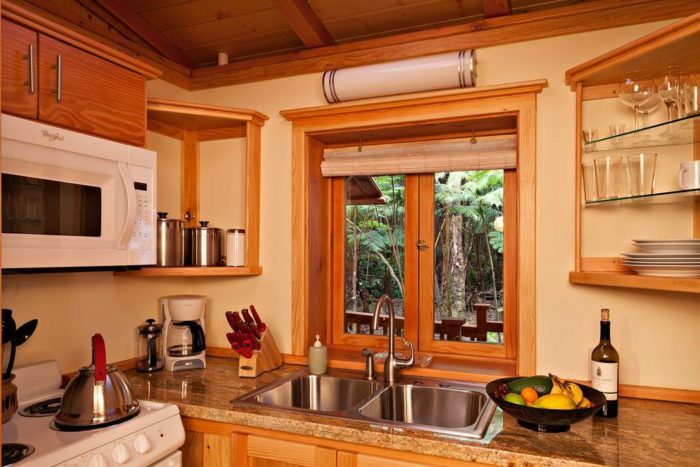 The well-equipped kitchen not only features an oven, range, microwave, and refrigerator, but is stocked with a variety of less-perishable breakfast items, including hot and cold cereals, granolas, regular and decaffeinated coffees, green, black, and herbal teas, instant hot chocolate packets. You’ll also find salt and pepper grinders, sugar, stevia, olive oil, and balsamic vinegar. 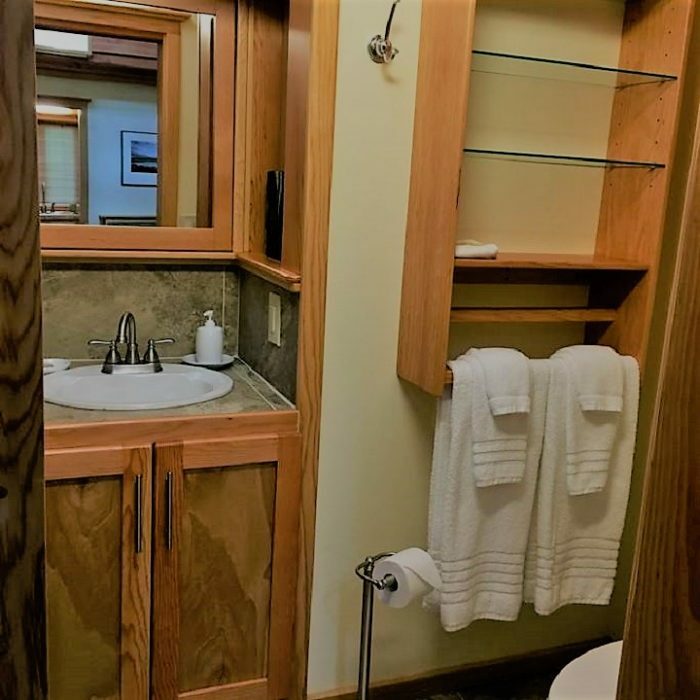 The modest bathroom with tiled shower features all the creature comforts of home, from the medicine cabinet stocked with first-aid items, shampoo and conditioner, and an electric blowdryer to the shelving unit with fresh bath towels, hand towels, and washcloths. With a memory foam topper, mattress warming pad for those cold Volcano nights, and a cotton-covered faux-down comforter, this California king bed will make you feel like royalty. We won't blame you if you never want to leave this bed in the mornings. 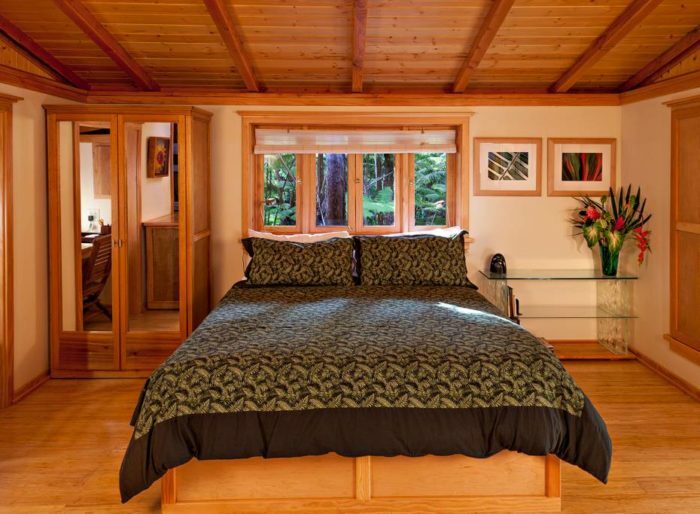 Situated just feet above the forest floor, guests can gaze out at the forest canopy to watch birds or take in the splendor of the upland rainforest that surrounds the cottage from vantage points throughout the property, including the front porch and several large windows designed the bring the outdoors in. 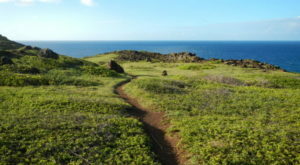 This rustic spot seems worlds away from the island’s resort destinations despite being on the doorstep of one of Hawaii’s most famous attractions and is famous for its beauty and tranquility. 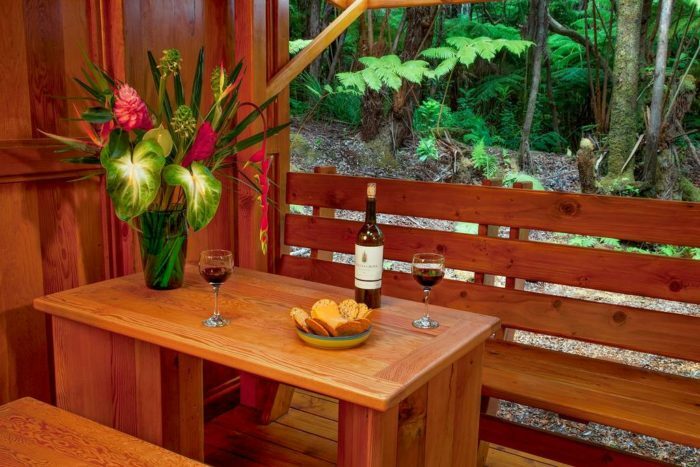 We can't imagine a more gorgeous setting to enjoy a cup of coffee to start your day or a glass of wine to end it. 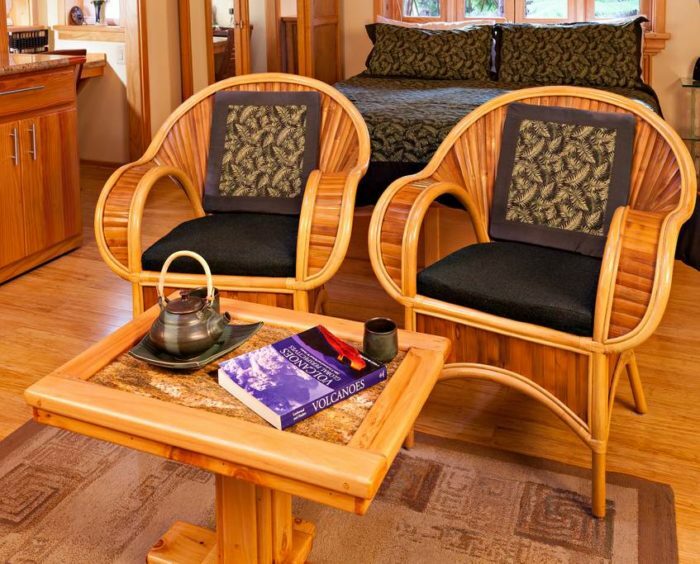 Whether you're looking for a romantic and relaxing getaway with your significant other, or are planning an adventure in the nearby Hawaii Volcanoes National Park, the Laukapu Forest Cottage, which perfectly accommodates two guests, is perfect. 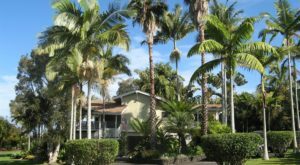 For more information on this stunning rental, click here. 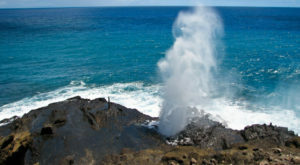 Interested in comparing the countless gorgeous rentals you’ll find on Hawaii Island? 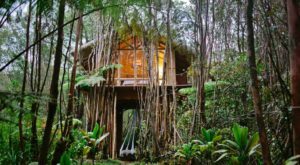 This cozy cottage near Kealakekua Bay is perfect for a romantic getaway, and this stunning treehouse near Fern Forest is a dream come true.